Ours is one of the prominent organizations engaged in serving our clients with an exclusive collection of Wedding Baggis. 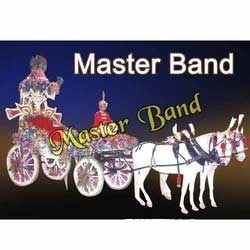 Under this, we serve our clients with Orchid Flower Decorated Baggi, Wedding Chariots, Wedding Ghoris, Marriage Baggi, Wedding Baggi And Ghori and Special Baggis. Rendered as per the Indian traditions and customs, our services are known for their attractive & elegant designs and perfect themes. Our services can also be customized as per the requirements of our clients. We have with us a large selection of Special Wedding Baggi, which are especially designed for the grooms that give the amazing experience of the special day in his life. Designer Wedding Baggi offered by us make the entrance of the groom amazing and eye catchy that definitely make the groom special. Driven with perfection, we provide our customers with excellent Decorated Baggi Services. Under this service, we offer beautiful ghoris with good height and high patience level. We also provide a well trained baggi rider for the safety of our clients. 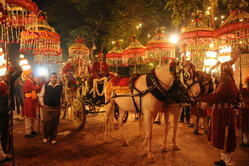 With beautifully decorated wedding baggi and ghori, we render all our services as per the Indian traditions and customs. We also customize our services as per the requirements of our valued customers. 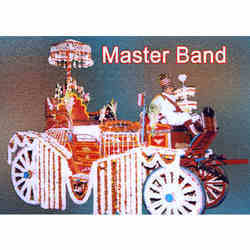 We offer chariot (baggi) for varied celebration. 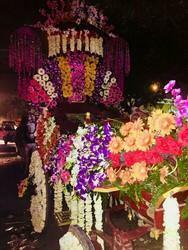 We can offer our chariot with different decorations as according to the celebrations and client's requirements. 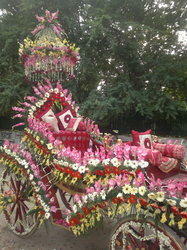 We also arrange for wedding ghori for the groom. It is properly decorated by our team as per the client's requirements. 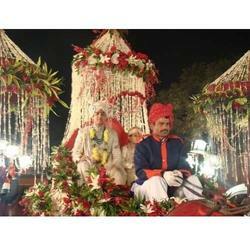 These wedding ghori are basic need of Indian hindu marriage for the groom in marriage. Ours is one of the prominent organizations engaged in serving our clients with an exclusive collection of Marriage Baggis. Driven by a horse, our baggis are decorated with original flowers and other decorative material. We also provide a well trained rider for the safety of the client. The offered service is rendered as per the Indian traditions and customs and is known for their attractive & elegant designs and perfect themes. Our services can also be customized as per the requirements of our clients. We have with us a large selection of Special Decorated Wedding Baggi, which are especially designed for the grooms that give the amazing experience of the special day in his life. Designer Wedding Baggi offered by us make the entrance of the groom amazing and eye catchy that definitely make the groom special. We specialize in catering our clients a very high grade of Orchid Flower Decorated Baggi. These baggi are of good height, pure white Ghoris and are fully decorated and we also customize these baggis as per the requirement. The baggis are highly demanded by our clients because of its good quality and attractive appearance. Looking for Wedding Baggi ?